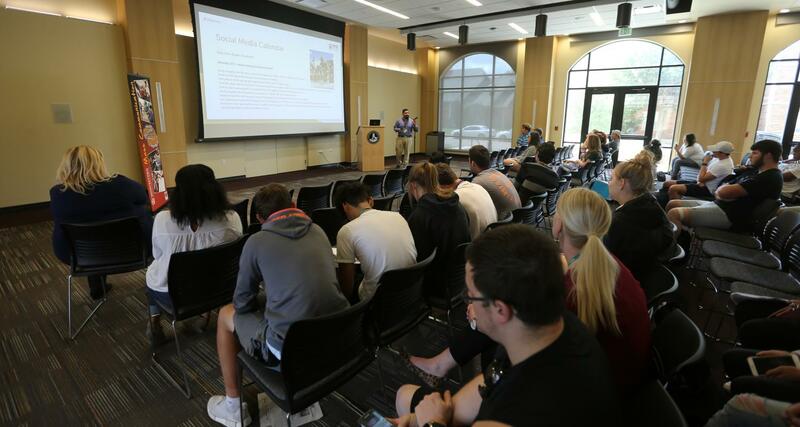 As part of Social Media Day on Oct. 1, sponsored by the mass communication department, students learned how to create a plan and execute a conversation online, and how this assists greatly in achieving success on the web. 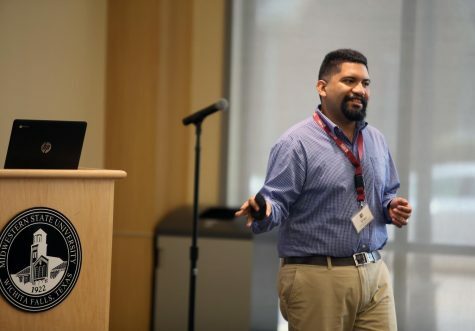 “Organization and planning help out immensely when putting information out there,” AJ Lopez III, digital marketing and social media manager, said. Social media is not random, he said, and one of the most effective ways to build a voice is consistency. “Posting on a regular schedule, hitting each medium’s primetime, will help people hear you on a more regular basis,” Lopez said. With Facebook celebrating its 14th anniversary this fall, social media is no longer a new concept. Websites and apps like Facebook, Twitter, Instagram and Snapchat have become increasingly popular, and can all help grow the online presence of an individual or organization. 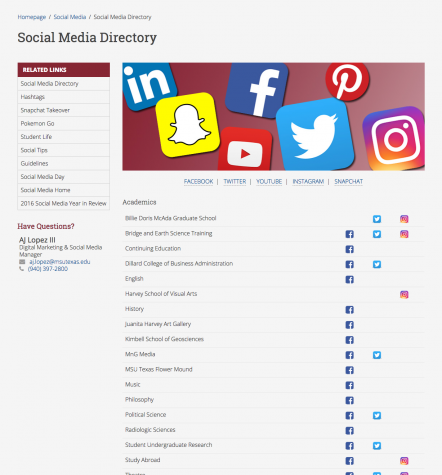 With more than 100 organizations on campus, there are several students who are in charge of their respective club’s social media accounts. Steven Ehlert, criminal justice senior and Residence and Housing Association president, is also the social media chair of the Tau Kappa Epsilon fraternity. 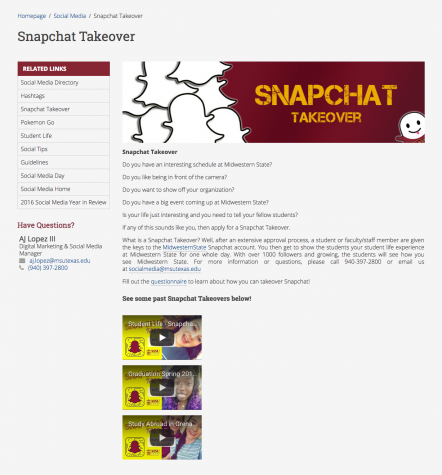 It is important to have someone in charge of a club or organization’s social media accounts. Ehlert uses this type of strategy on a daily basis. Victor Venegas, political science sophomore, is also in charge of social media for his organization. Lopez said that one of his most difficult times when doing his job was this time last year, when Robert Grays was injured during the football game. “You think you know how everything is going to go. We knew the score, we knew who we were going to interview, what we were going to post, and then suddenly everything changed. It was chaos,” Lopez said. Lopez said that it’s during times like these that a social media plan can be a real asset. During these times of hardship, it is essential to learn from the backlash and negativity. 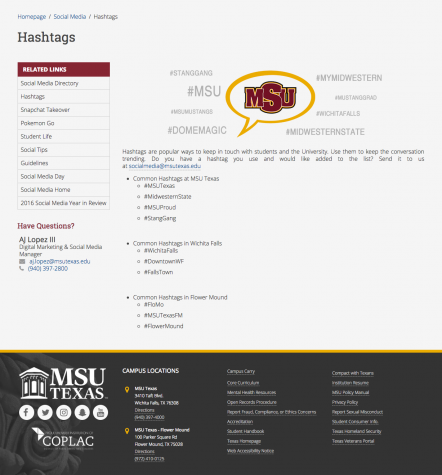 The MSU Texas social media page on the university website has several helpful worksheets to help plan out the advertisements of events and learn more about each department, as well as learn more about hashtags and snapchat takeover opportunities.